Camel Karma. Twenty Years among India’s Camel Nomads. 2014. Tranquebar Press. The Camels of Kumbhalgarh. A biodiversity treasure. Lokhit Pashu-Palak Sansthan. 2013. Invisible Guardians. Women manage livestock diversity. 2012. FAO Animal Production and Health Paper No. 174. Rome, Italy. Biocultural Biocultural Community Protocols for Livestock Keepers. 2010. Building an international legal framework on animal genetic resources. Can it help the drylands and food-insecure countries?2005. The Karen Commitment. Indigenous livestock breeding communities and animal genetic resources. Proceedings of a workshop of pastoralists and other communities dependent on indigenous livestock breeds, focusing on animal genetic resources and livestock breeders’ rights. 2003. Edited by Ilse Köhler-Rollefson and Jacob Wanyama. Local livestock breeds for sustainable rural livelihoods. Towards community-based approaches for animal genetic resource conservation. Proceedings of a conference/workshop held on 1-4 November, 2000 in Udaipur & Sadri, Rajasthan, India. A field manual of camel diseases. Traditional and modern veterinary care for the dromedary. 2001. Ilse Köhler-Rollefson, Paul Mundy and Evelyn Mathias. Out of Australia (2): Camel dairying – a kinder approach to milk production? Vegetarianism/veganism not an option for people living in non-arable areas! 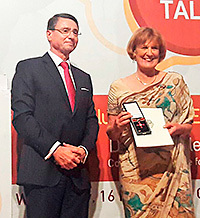 The German Ambassador to India, Dr. Martin Ney, conferred the prestigious German ‘Cross of the Order of Merit’, on Dr. Ilse Köhler-Rollefson at the German Embassy on 16th May. 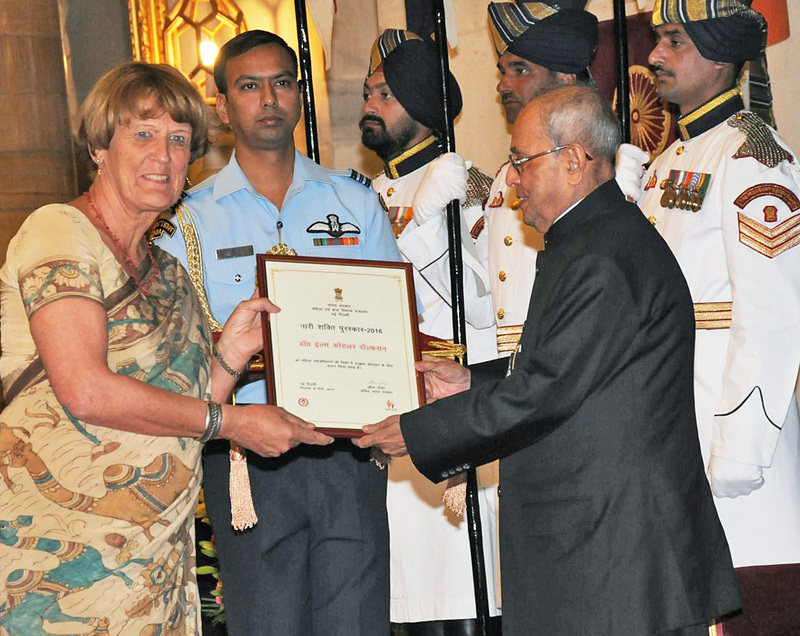 We are pleased to announce that Dr. Ilse Köhler-Rollefson has been honoured with the Nari Shakti (Women Power) Award by the President of India, Shri Pranab Mukherjee, for her more than 25 years of engagement and research with the Raika pastoralist community. 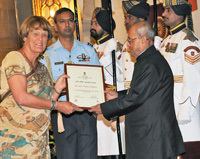 As only foreigner, she received the prize in a ceremony held on 8th of March, International World Women’s Day, in the Rashtrapati Bhavan in New-Delhi. Together with the 31 other awardees she also had the opportunity to interact with the Prime Minister, Shri Narendra Modi on 9th March.